You may recall hearing quite a few stories on the news lately about reported cases of Hepatitis A. 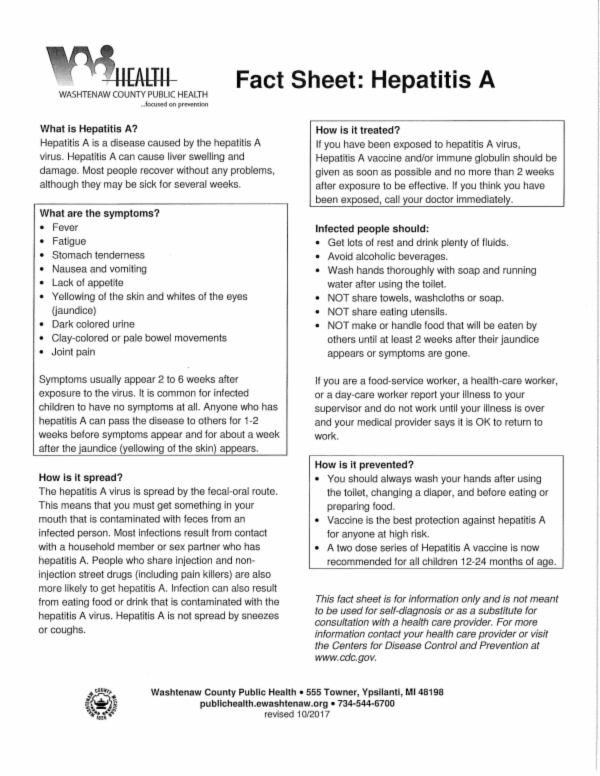 Below is a fact sheet about this disease and what you can do to prevent it's spread. In response to this recent outbreak, Washtenaw County Health Department will be holding various Vaccination Clinics over the next couple of weeks. These Hepatitis A Vaccination Clinics are intended for those who are uninsured, have Medicaid, or can't get vaccinated elsewhere. If you have insurance, please contact your health care provider or pharmacy for the vaccine first. 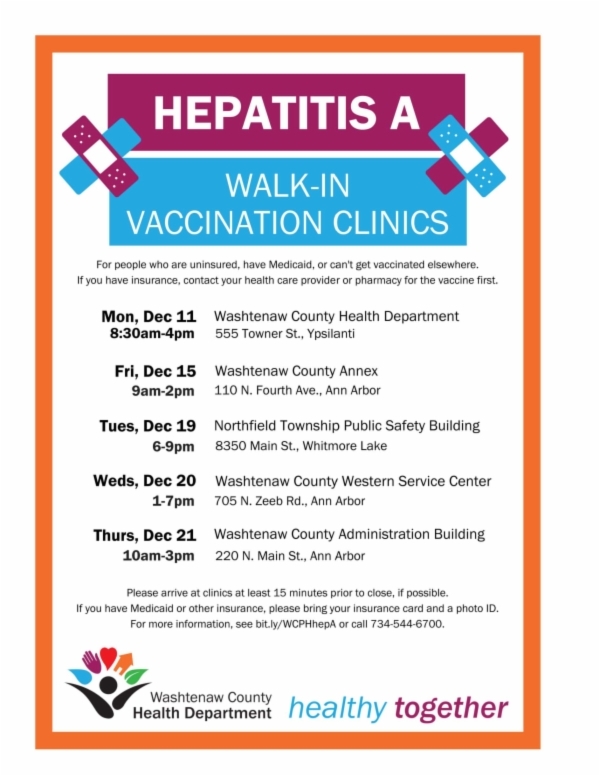 The Northfield Township Department of Public Safety will be holding one of the Hepatitis A Vaccination Clinics here at the Northfield Public Safety Building on Tuesday, December 19th from 6-9pm.